Last weekend, I attended the Panasonic x omy.sg Beauty Workshop with Bryan Gan. 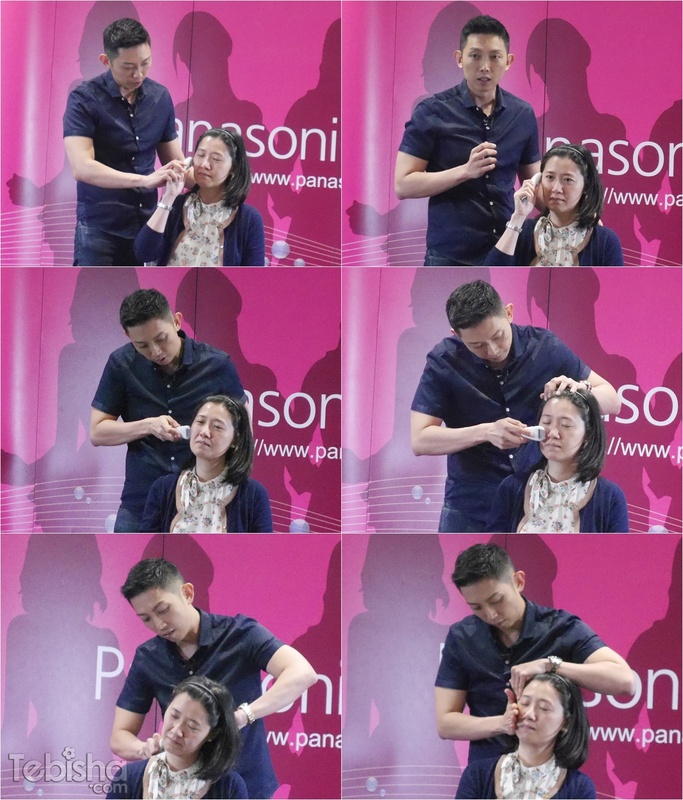 It was a resourceful beauty workshop, which we get beauty tips from our very own Singapore Beauty Guru Bryan Gan 老师. Bryan 老师’s talk was very informative and detailed. He will try his best to give us as many beauty tips as he can to us. From the use of Panasonic Beauty gadgets to recommend types tonics that help us to regain our beauty and health. I love the way he presented, he used our favourite language Singlish during the presentation which is very engaging. He recommended ladies to have more white fungus to help us in gaining beautiful and healthy skin. All the products he recommended are all tested and proven by him. He mentioned he will try out the products first make sure it’s good before he introduce to his readers. Panasonic Beauty Products / Gadgets he demonstrated during the workshop were all tried and tested by him. First product he touched on was Panasonic Facial Roller. The main feature is the two removable rollers to suit use and preference. He even demonstrated on his face on how to use to help us in achieving V face. Not just for face, we can even use it on our hands and arms to get rid of flabby arms. To show us on the techniques to use and he tried on 1 side of the lady’s face to show us the difference. Can you see the difference? Left side of her face is more firm up and tighten compared to her right side. Besides face and arms, we can use the roller on legs as well. Relieve tiredness of our aching legs and achieve slimmer legs. Next, Panasonic Eye Warming Massager. Bryan 老师 highly recommend for people who suffering from insomnia. Panasonic Eye Warming Massager is able to help us to relax our eyes and mind. New product coming up! IPL hair remover at home. Going to release in September so stay tune with Panasonic. Do not throw away the corn silk after remove out the corn. Corn silk is good to cure bladder infections, inflammation of the urinary system and helps to detox your body. Boil the corn silk with water for 10 minutes and drink it. He told us the benefits of chrysanthemums and the type of chrysanthemum we should have to target different problems. And dried longan with shell and seed is best to help us getting into sleep. He mentioned his very first blog post was the benefits of Facial Steaming. With the advance technology now, we do not need hot water in tub for facial steaming. 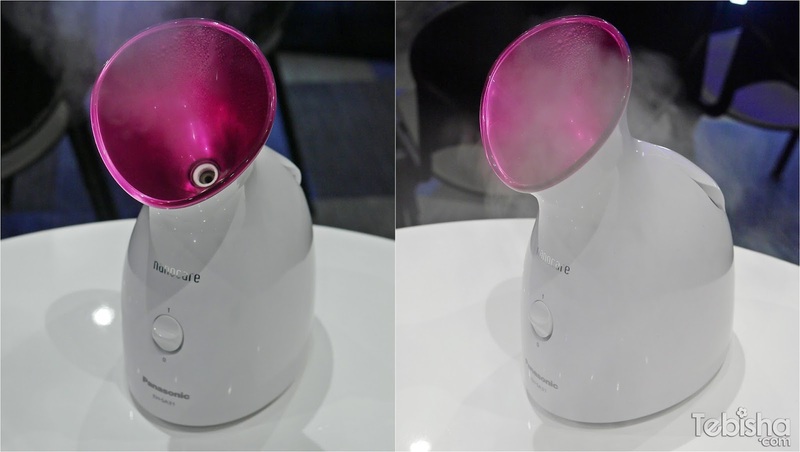 Panasonic Compact Facial Steamer is easy to use and convenient! To add on some essential oil during the process of facial steaming benefits us from relaxing our mind. So he gave us his tips on having aromatherapy while steaming your face and yet will not spoil the steamer. Drop a little essential oil on cotton pad and stick on the steamer, you can enjoy the aroma while steaming. After warm facial steam, we have to cool our skin and tighten the pores. So Panasonic Facial Cool Putter will do the magic! 1. Reaches about 15℃ and instantly cools and tightens skin. Thanks Bryan 老师 for all the beauty tips, I’ve enjoyed myself during throughout the whole presentation. And thanks omy.sg & Panasonic for conducting this informative workshop. Panasonic Singapore is extending a very special offer to my readers from now till 5 July 2015. Above promo is valid till 5 July 2015 only, while stocks last.